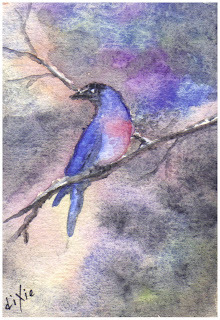 I wanted to post here to remind Y'all about the other page "Art In Hand" where i am posting my new watercolor art cards. I am a beginner but I'm learning... and truly enjoying it. Will you subscribe to my blogs and become a FOLLOWER or add me to your "Reading List"?